The successful ISIS advance in the wake of its June 2014 capture of the Iraqi city of Mosul has prompted a shift in rival al-Qaeda group JN’s disposition within Syria. JN has abandoned its former center of gravity in Deir ez-Zour province in favor of consolidating control in Idlib Province. This shift represents a transition by JN away from discreet influence within outwardly rebel-dominated structures that had characterized its activities in Deir ez-Zour. JN advances on the Syrian-Turkish border helps to replace revenue lost to ISIS from the oil fields in Deir ez-Zour. It also allows JN to regroup deep within the rebel center of gravity in northwestern Syria. A campaign to “counter corruption” in Idlib served as the pretext for JN’s seizure of control. Rebel participation in this anti-corruption activity has allowed JN to reaffirm its influence within rebel ranks. Despite abandoning its involvement in joint Shari’a courts alongside prominent rebel groups, JN is unlikely to divert from its desired end state of an Islamic State in a post-Assad Syria. The declaration of a Caliphate by the Islamic State of Iraq and al-Sham (ISIS) on June 30 prompted a major inflection in the disposition of Jabhat al-Nusra (JN) in Syria. While ISIS forces swept southeast from Mosul in Iraq, an ISIS escalation against regime military bases in Syria demonstrated its high military effectiveness across two theatres. As a result, JN forces, once the preeminent military challenge to the Syrian regime, were faced with a major competitor and a significant challenge to their centers of gravity in Eastern Syria. Seeking to avoid marginalization, JN reprioritized its assets and adjusted its force posture to carve out a new center of gravity in northwestern Syria. An immediate withdrawal from most of its strongholds in Deir ez-Zour province in early July surrendered the primary source of JN military and economic strength, but allowed JN to avoid a significant confrontation with a strengthened ISIS that would have likely cost JN a large number of fighters and hindered its ability to continue to fight the Syrian regime. Taken together, JN’s counterbalancing constitutes an immediate shift in its strategy within Syria. The withdrawal from Deir ez-Zour marked the conclusion of a provincial governance initiative through which JN had tested its ability to maintain social control by quietly exerting influence from within a broader rebel structure. In addition to withdrawing from Deir ez-Zour, JN announced its formal withdrawal from the Aleppo Shari’a Commission (ASC) on July 7, citing disagreements with other members regarding the functioning of the court, possibly on account of corruption. A few days later, an audio feed of JN leader Abu Mohammad al-Joulani surfaced in which Joulani was heard announcing the establishment of an Islamic Emirate within Syria. The transmission of the audio appears to have been unsanctioned, and immediately vanished from social media platforms and YouTube. However, it nonetheless appears to have been genuine, prompting JN to issue an immediate six-part clarification. In a statement distributed by official JN social media accounts, JN stated that while its intent since the first day of its establishment has been to “return the rule of Allah to his land and arbitrate his law,” it had not yet declared the establishment of an Islamic Emirate. Significantly, the statement announced the discontinuation of Shari’a court structures shared with other groups as previously prioritized by JN and announced its intention to “arbitrate Shari’a through the role of [the] judiciary and establishing centers to maintain security and offer public services to Muslims.” Finally, the statement announced JN’s intolerance for “bad and corrupt” groups, and stated its intent solely to participate with “honest” factions. The JN clarification conveys the prioritization of two main objectives: first is a shift in JN’s approach to governance. The announcement foreshadowed efforts by JN to implement rule of law in areas previously on the periphery of JN’s sphere of influence, a shift indicated by the termination of JN’s involvement in prominent Shari’a courts in Aleppo and Deir ez-Zour. After the release of the statement, a JN spokesperson with ties to the central al-Qaeda organization named Abu Firas al-Suri further clarified that JN did not seek to establish its own form of state governance, but rather “what is meant is to apply the Islamic Sharia rather than establish an emirate in the sense of a state and rule.” The second objective conveyed by the JN statement is a heightened attention to the purity of JN’s relationships to rebel groups. Seemingly credible rumors of a reshuffling within JN’s higher command is further evidence of this shift toward a more assertive approach to JN’s interaction with the Syrian opposition. While JN made no formal announcement, it has been reported that the leader of JN’s Shari’a Court, Abu Marea al-Qahtani, was replaced by his former deputy, Sheikh Sami al-Aridi. Qahtani is believed to have been a voice advocating for a more tolerant approach to interacting with rebel coalitions, whereas al-Aridi has put forth a more hard line and uncompromising agenda. As a conditions-setting component of JN’s pursuit of these two objectives, JN forces moved in to take a more direct form of control over key villages along the Turkish border in Western Idlib province beginning in mid-July. This territorial acquisition facilitated JN’s new governance strategy, acquired an alternative source of revenue, and served to edge out more moderate rebel groups from key terrain near the Turkish border. In accordance with this threat, the primary target of JN’s consolidation in Idlib appears to have been territory under the control of the FSA-affiliated Syrian Revolutionaries Front (SRF). Beginning in the early morning of July 17, JN forces stormed numerous SRF bases across Idlib, seizing control of checkpoints and weapons and detaining fighters under allegations they had collected unfair taxes from residents. According to a rebel “leader” cited by McClatchy, SRF fighters were ordered to surrender because they could not match JN’s military strength. Facilitated by these localized surrenders JN forces seized control of a number of towns near the Turkish border in addition to the checkpoints of FSA’s Liwa 48 in the countryside of Jisr al-Shughour. Support from the Islamic Front (IF) and other key JN allies affirmed JN’s continued commitment to the Syrian revolution and is likely to have aided in deterring civilian discontent or a meaningful backlash from the targeted local groups. A statement issued by numerous rebel groups on July 22 announced their participation in the campaign, including the IF members Ahrar al-Sham (HASI) and Suqour al-Sham, in addition to Liwa al-Bitar, Liwa al-Umma, Kataib Salah ad-Din and Faylaq al-Sham. Members of the IF also participated in what appears to have been a simultaneous set of JN raids against corruption and “checkpoint thieves” in Aleppo Province. In response to the JN aggression, the SRF released an immediate statement calling on JN to return the stolen equipment and requesting a Shari’a Court settlement. However, the statement made it clear that the SRF had no desire to go to war with JN, adding that it “[would] not take up arms against JN because we are busy fighting the regime and fighting in Deraa.” However, JN appears to have ignored this attempt at mediation and continued its consolidation. A later statement released by a set of prominent rebel groups in Idlib on July 18 criticized JN for attacking FSA forces in liberated areas and accused it of ceasing to fight the regime. This statement also appears to have gone unanswered. On August 18, the SRF issued a second statement against JN, accusing it of abandoning Aleppo, handing Deir ez-Zour to ISIS, and deploying to the Turkish border instead of key front lines in Aleppo Province. Nonetheless, JN appears to have continued its consolidation, reasserting control over Hafsarjah on September 15 after clashes erupted with local fighters. After this escalation, the SRF finally submitted, releasing an 8-minute statement in which SRF leader Jamal Ma’arouf issued a plea for immediate settlement of the ongoing confrontation. Ma’arouf stated his willingness to submit to a ruling by any Shari’a judge of JN’s choosing so long as the settlement can take effect immediately. JN agreed to Shari’a court mediation on September 15, and a formal truce is reported to have been signed by both parties. In these newly consolidated areas of control, JN has begun to implement a new paradigm for governance. Five towns exhibit the most overt signs of JN control, including of Haram, Salqin, Izmarin, al-Zanbaqi, Darkoush, and Hafsarjeh. While JN had long been active within the province, its activities had largely focused on religious and social outreach rather than the kinds of service provision that characterized its involvement in the Aleppo and Deir ez-Zour Shari’a governance systems. In its new territory, JN immediately launched an outreach program to the citizens in newly-seized localities, capitalizing on the end of Ramadan Eid al-Fitr holiday to begin establishing a connection with the local population. The formalization of JN’s new approach to governance appears to be underway, with JN reportedly establishing numerous “Dar al-Qadaa” branches in a less overtly religious form of judicial governance in Idlib in addition to initiating such efforts in Homs, Hama, and Latakia. As a component of this effort, a new set of civic and economic laws was reportedly declared by JN, including standardizations for the prices of important commodities and a set of social laws that include limitations on the playing of loud music, riding motorcycles at “excessive speeds,” and gender segregation. The JN escalation in Western Idlib served a third strategic objective of reconsolidating JN’s wider influence within rebel ranks as a means through which to deter the growth in ISIS influence. In addition to direct rebel support in the campaign, the JN power play appears to have been successful in encouraging other rebel groups to shift their posture to accommodate its new agenda. On July 31, The Khalid bin al-Waleed brigade, a component group of the SRF operating in northern Homs province, announced its split from the SRF, stating that it will cease any fighting against Islamic or Jihadist groups and will focus on fighting the regime. In addition, Harakat Hazm, which also receives US military support, released a statement blaming its subsidiary group Liwa Daraa al-Watan for corruption and abuses in the liberated areas of Aleppo city and announcing its plan to bring the group before a Shari’a court. JN’s severing of ties with the Aleppo-based HASI affiliate Katiba Jaysh al-Muhammad on July 16 on the premise that “the behavior of the battalion are not representative of Jabhat al-Nusra” appears to have been successful in coercing the IF into expelling the group from the critical border town of Azaz. 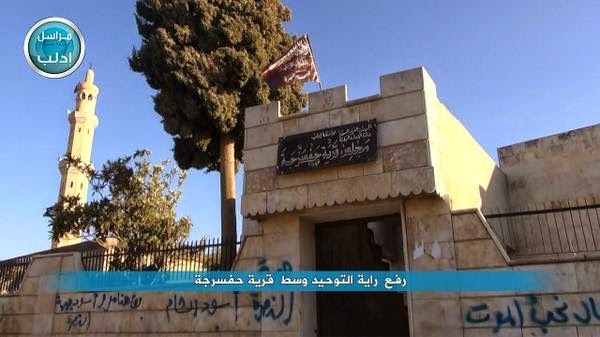 Jaysh al-Muhammad is known to have cooperated with ISIS in Azaz prior to the expulsion of ISIS in February 2014, and it is possible its subsequent marginalization was in part a result of fear of latent ISIS influence. A number of rebel raids against suspected ISIS sympathizers within Aleppo is further testament to this concern. While anti-ISIS raids are likely to have occurred without the shift of JN posturing, the targeted groups have in many cases been component elements of groups that work in close proximity to JN. The purging of disloyal elements from within these groups is likely to have been a priority concern for JN in the aftermath of ISIS’s push into Northern Aleppo. As JN continues to consolidate strength in Northwestern Syria, a recent weakening of the Islamic Front may allow JN further room within which to exert influence amidst rebel ranks. The deaths of HASI leader Hassan Abboud and military commander Abu Talha in an explosion on September 9th crippled the group, a severe blow to the strength of the IF in Northern Syria. JN and HASI forces fight closely against the regime on numerous battlefronts across Syria, and are natural allies as a result of their shared leadership corps with ties to al-Qaeda. Testament to their close relationship, in the aftermath of the explosion JN released a statement lamenting the HASI deaths as a “wound that will not heal” and imploring HASI members to be patient, endure, and hold their positions. While the full effect of the loss of HASI’s founding leadership will take time to unfold, it is possible that local JN commanders will step in and provide command and control for HASI fighters deployed on the front lines. Combined with JN’s increased exertion of control throughout Idlib, an effective absorption of HASI elements could further bolster JN’s ability to consolidate its forces and reassert dominance on the Syrian battlefield. JN activities in Idlib and Aleppo in the aftermath of the declaration of a caliphate by ISIS are indicative of a strategic realignment in the wake of the ISIS advance. The shift in JN’s disposition in Idlib and Aleppo, featuring prominently a shift in its approach to governance, is a solution to JN’s immediate need to quickly and efficiently establish a new center of gravity after surrendering Deir ez-Zour. 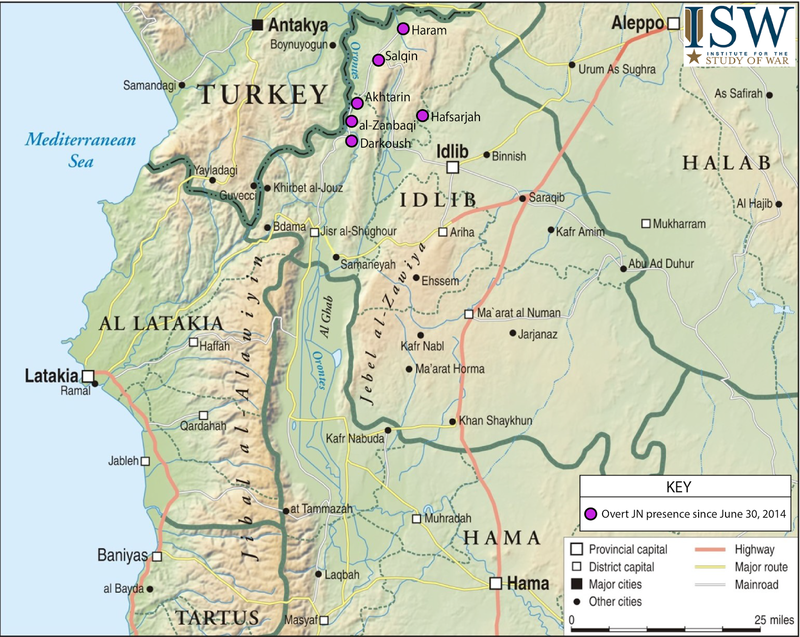 It is likely that through these recent initiatives JN seeks to acquire a depth of control in a critical area within the rebel presence in northwestern Syria from which to regroup free from the threat of immediate ISIS incursion. Furthermore, the scope of JN’s consolidation in Idlib indicates the possibility that JN seeks to adjust to the rise of western-backed groups that have been recipients of TOW missile shipments. JN’s repositioning appears to have been largely successful, and is likely to enable JN forces to reinvigorate their campaign within Syria from a strengthened force posture centered in a critical rebel center of gravity. However, the ideological foundation of JN’s long-term strategy of governance makes it unlikely JN will divert from its desired end state of an Islamic State in a post-Assad Syria that JN can quietly control. The societal engagement that underpinned JN’s previous strategy of Shari’a Court cooptation remains a primary JN concern. 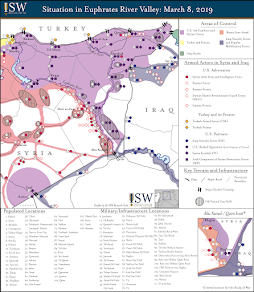 Testament to this continued priority, JN released assurances that its Shari’a authorities would continue their work in Aleppo despite its formal withdrawal from the ASC “until the completion of the issues entrusted to us in order to preserve the interests of the Muslims.” JN continues to exhibit proficiency in adapting to its current environment, and is likely to undertake another strategic shift within Syria if and when the ISIS rise in Syria is forced to culminate. **Coming in October**: ISW Syria analyst and Evans Hanson Fellow, Jennifer Cafarella, will release a comprehensive report next month on Jabhat al Nusra, an Al Qaeda affiliate in Syria. 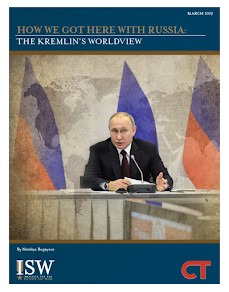 This report will examine JN’s ideology, long-term strategy, military efficiency, and its governance in Syria in order to properly situate the Al Qaeda threat in the Syrian context.